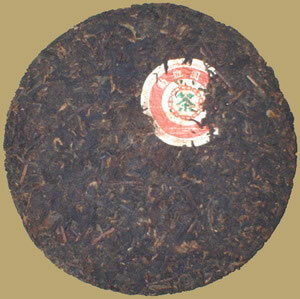 Licensed by CNNP, Six-Famous-Tea-Mountain released Zhong Cha series Pu-erh since 2006. This ripe Pu-erh retain traditional CNNP cake style, consists of middle grade tea leaves from Yibang Mountain in Mengla county, carefully prepared for a pure aroma and sweet aftertaste. A nice everyday tea or a gift for a Pu-erh lover.